Will Velo3D Upend Powder Bed Metal 3D Printing? 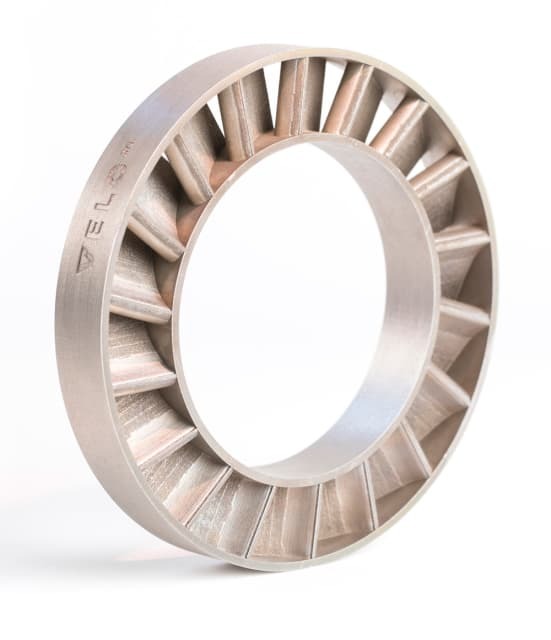 Recent news regarding developments in the metal 3D printing space seem to suggest that overcoming the technology’s flaws will require processes that are altogether novel. Look to XJet, Markforged and Digital Alloys for examples. A startup dubbed Velo3D, however, suggests that you can teach an old dog new tricks when it comes to powder bed fusion (PBF). Velo3D’s Intelligent Fusion process relies on simulation and closed-loop monitoring to 3D print metal parts with almost no support structures or deformation. Engineering.com spoke to Stefan Zschiegner, chief product and chief marketing officer for Velo3D, and learned about the firm’s unique platform that, if it delivers, sounds as though it can tackle many of the problems associated with traditional PBF. As we outlined in an article on the topic, traditional metal 3D printing technologies are plagued with a number of issues. Distortion and cracking from thermal stresses, for instance, make repeatability and quality difficult to achieve with PBF. 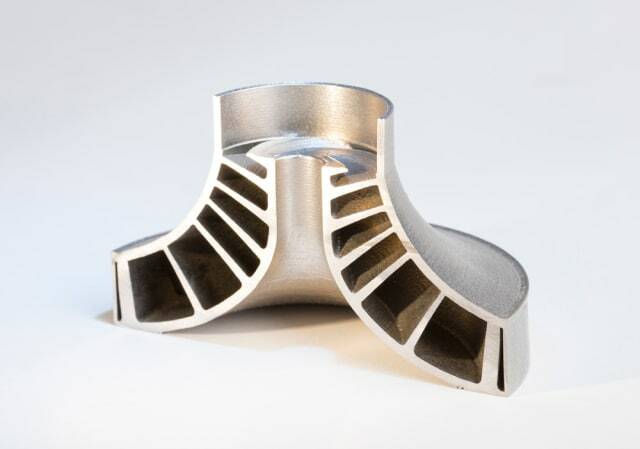 Metal 3D printing usually requires support structures for any angle lower than 45 degrees. Not only is removing these structures a laborious process, but their placement may be difficult to perform without damaging essential features on the part. All of this ultimately decreases the throughput of the machine, as engineers seek the optimal printing strategy for repeatably fabricating a quality part. Such a strategy may only be determined after numerous episodes of trial and error. This is not just a waste of valuable production time, but of costly raw materials, as well. Velo3D claims to solve all of the problems noted above through a combination of hardware and software, all of which work together in concert to achieve outcomes previously impossible with PBF. Velo3D was founded in 2014 and is only now going public with its technology, which it refers to as Intelligent Fusion. This means that the startup has spent the past four years perfecting the platform, taking in $92 million in funding in the process. Zschiegner explained that the company was founded and its technology developed essentially to tackle the known problems associated with PBF. Velo3D did so methodically, hiring 100 engineers with backgrounds in semiconductors, material science, process development and geometric computation who could solve these problems. “We studied the different mechanisms and characterized the challenges, continuing step by step to eliminate different variables,” Zschiegner said. The result is a system that can print fully dense parts with very little need for support structures. Intelligent Fusion is capable of achieving angles of less than 5 degrees and internal voids without supports. It does so repeatably and without deformation, resulting in components that require almost no post-processing. So, how can Intelligent Fusion pull this off? By perfecting the PBF process and controlling for all of the variables that go into it. Step one of the print preparation process relies on Velo3D’s Flow software. After design validation, the software applies a simulation of the printing process, including the melt pool, to the CAD file, pre-distorting it to compensate for deformation that will occur. This makes it possible to achieve first print success rates of up to 90 percent, while reducing support volume by three to five times. As powerful as the software is marketed to be, it is designed to work in conjunction with Velo3D’s flagship system, Sapphire. This machine is the first PBF 3D printer to include closed-loop control, which enables precise management over the melt pool. While established 3D printer manufacturers have been incorporating an increasing number of process monitoring technologies into their systems, closed-loop control has remained elusive. In part, this is due to the fact that monitoring hardware is imprecise. For instance, one method for detecting the temperature of the melt pool is through the use of imaging, correlating with an estimated temperature. Zschiegner could not disclose the exact nature of the monitoring hardware his firm uses, given the proprietary nature of the system, but said that the Sapphire uses a variety of sensors and that Velo3D’s semiconductor experience played a crucial role in developing this setup. Accurate monitoring information is continuously fed back to the printer’s software, which can then automatically adjust the machine’s parameters to optimize the process. Other key features include a robust build chamber of 315mm diameter by 400mm tall, dual 1kW lasers and sub-10ppm O2 atmospheric control. The Sapphire also uses a “zero-contact” recoater, which minimizes disturbances to the metal powder as printing takes place. Controlling variables like the level of oxygen within the chamber and powder distribution on the bed are key to precise management of the build process. This hardware working in concert with the Flow software thus enables a very tightly controlled printing process capable of repeatable parts with few supports. Zschiegner said that the Sapphire is capable of fabricating objects with inner diameters up to 40mm, as well as feature or wall thicknesses of below 250 microns, without the use of any support structures. Surface details can be finer than 3 microns. All of this means that there is very little post-processing required, including heat treatment. A reduction in post-processing results in faster turnaround time, which is further aided by the Sapphire’s automated changeover system. This system automatically removes a print and unpacks it so that the printer can continue production while finished parts are shipped to their customer. Zschiegner also explained that, due to the precision of the Intelligent Fusion process, it’s possible to nest many more parts within a single build. 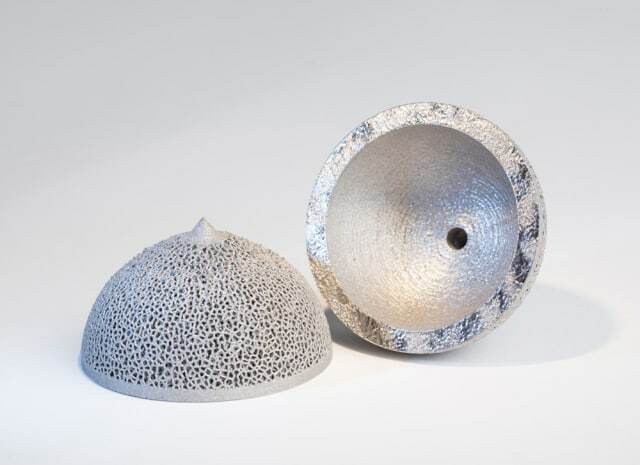 A typical PBF system can fit as many as 10 to 15 hip cup implants on a baseplate, though Arcam has been able to fit 40 in its electron beam systems. Velo3D claims to have the ability to fit 430 in a single print, using the entire build chamber. 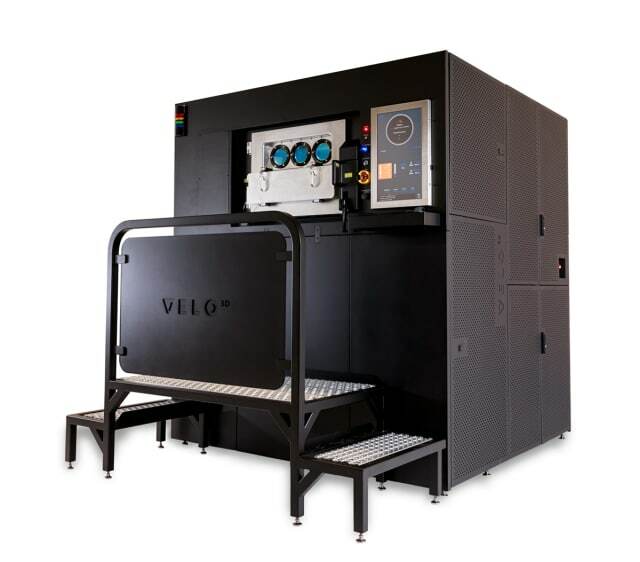 For this reason, Velo3D is targeting the production segment, from small batches of 10 to 100 all the way up to larger runs in the tens of thousands of parts on a machine per year. The company has already established relationships with an original equipment manufacturer and two service bureaus, including 3D Material Technologies. According to Zschiegner, all of these customers have 10 to 20 systems from multiple suppliers and the service bureaus work with top Fortune 500 companies. The Sapphire solution is now available for purchase with an estimated three-month lead time. The price has not been disclosed publicly, but Zschiegner claims that it is equivalent to the cost of other PBF machines. However, Zschiegner said that Velo3D may be able to reduce part costs by between 30 and 70 percent, due to a drop in material associated with support structures, total yield and increased machine uptime, thus providing more value at the same price. To learn more, visit the newly launched Velo3D website.